How do I get an iRedeem Membership Card? It's easy to get an iRedeem Membership Card! Click on the green 'Join Now' button online to sign up. 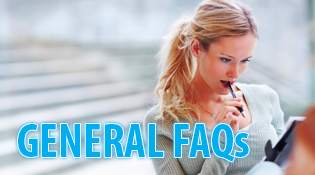 You will receive an email with a temporary card to use right away while we mail you the physical card. You can also get a card at many of our iRedeem Business Partners! How do I register my iRedeem Membership Card? 1. Click on the green 'Join Now' button at the top right hand corner of the page. 3. Enter your card number in the 'Card Number' field and enter your PIN in the ‘PIN#’ field. 4. Follow the on screen instructions and enter all of your details. Please enter a valid email address otherwise you will not be able to redeem for Cash Vouchers! How do I save with my iRedeem Membership Card? It's easy to save with your iRedeem card! Just show your card at participating iRedeem Business Partners and receive the discount indicated. Check 'Our Partners' page and look for the businesses with the 'SYC' (Show Your Card) logo on the bottom right hand corner. How do I collect iRedeem points? To collect iRedeem points, simply shop at participating iRedeem Business Partners offering points! Check 'Our Partners' page and look for businesses with the iRedeem logo on the botton right hand corner. You will receive 1 iRedeem Point for every $1 on every qualifying purchase you make from our participating Busines Partner. How many iRedeem points do I have? When you are logged into your account online, you will see your points balance at the top of the screen. You can get a more detailed breakdown of where you've collected or spent your iRedeem points by clicking on 'My Account' and 'My Transactions'. Do iRedeem points ever expire? No. iRedeem points never expire. How many points do I need to redeem for a Cash Voucher? Every 100 iRedeem Points = $5 Cash Voucher! Cash Vouchers are available in the values of $5, $10, $25, $50 and $100. How do I redeem for a Cash Voucher? It's simple to redeem for a Cash Voucher! Visit our 'Redeem Points' page to view and select the business and Cash Voucher amount you want to redeem and click on 'Add to Cart." Only ONE Cash Voucher per business can be selected. Once you've selected all the Cash Vouchers you would like to redeem for, click 'View Cart.' You will see a summary of all the Cash Vouchers you've selected. Click 'Submit Order'. An email will be sent to your registered email address with a summary of your redemption and a copy of your Cash Voucher. Please check the terms and conditions on the Cash Voucher for complete details. Can I redeem for a Cash Voucher directly at the business? No. Cash Vouchers must be redeemed online. However, you will have instant access to your Cash Voucher! Do I have to print my Cash Voucher? No. Your Cash Voucher is available for immediate use. Just go to the business and inform them when you pay for your purchase that you would like to apply your Cash Voucher to the transaction. Please check the terms and conditions on the Cash Voucher for complete details. Yes. Cash Vouchers will expire 3 months from the date of redemption. You can view the expiry date of your Cash Voucher under 'My Account' and 'My Cash Vouchers'. Cash Vouchers will not be replaced if expired. Please check the terms and conditions on the Cash Voucher for complete details. Can I redeem for more than one Cash Voucher at the same business? No. Regardless of the amount, you can only redeem for one Cash Voucher per business. You will not be able to redeem for another Cash Voucher to the same business until your existing Cash Voucher is applied to your transaction. You can view your unused Cash Vouchers under 'My Account'and 'My Cash Vouchers'. Once applied at the business, it will be moved to the 'Used Cash Voucher' tab then you can redeem for another Cash Voucher for that business. I forgot to bring my iRedeem Membership Card, can I still claim my points? All participating iRedeem partners will credit points. To add points please take your till receipt and iRedeem Membership Card to the store where you made the transaction. If you registered your card online. The next time you forget your card, you can simply give your phone number to collect points. How do I update/change my personal information and password? 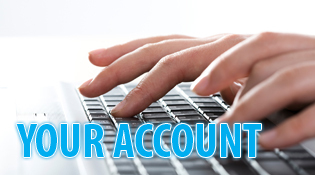 To change your personal information, click on 'My Account' and log in if prompted. Select 'My Profile'and update your information or change your password. If you've forgotten your iRedeem password, click here and follow the onscreen instructions to reset your password. Please note that if you've entered the wrong card number or password multiple times, a message will display saying your account has been locked for security purposes. If this happens, please contact us. How do I get a replacement for my lost, stolen or damaged iRedeem Membership Card? Please contact iRedeem at 1.866.357.9628. For your security, your current card will be disabled and you will receive a new card with a new number in the mail within ten business days. I have two iRedeem Membership Cards, can I merge them? Yes! As long as you're the main card holder on both cards, you can call iRedeem toll free at 1.866.357.9628 or email support@iredeem.com and we will merge the cards for you. Can I order extra iRedeem Membership Cards for my spouse/family? No. For security reasons, only one card can be issued per member. How do I subscribe to iRedeem Business Partner promotions? To receive bonus offers or promotions from our business partners, Click on 'My Account' and log in if prompted, 'Manage Preferences’ and check the category or business you would like to receive offers from. What happens to a deceased member's account? What is iRedeem and how does it work? iRedeem is a locally owned and operated loyalty program offering direct discounts and a Cash Voucher rewards system. Members can save instantly at Business Partners on our Show Your Card (SYC) Program or they can collect iRedeem Points at participating Business Partners (look for the iRedeem logo on the bottom right hand corner of each business listed in the directory page). 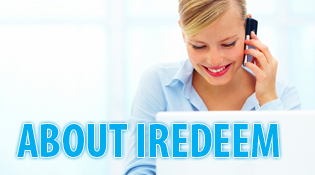 iRedeem points can then be redeemed for Cash Vouchers (100 points = $5 Cash Voucher). Do you have an iRedeem Mobile App and how much does it cost? Yes and it’s FREE! You can download the iRedeem App on your iOS and Android device through iTunes and Google Play. How do I set up an iRedeem Business account? Please visit our Business Opportunities page for more information!